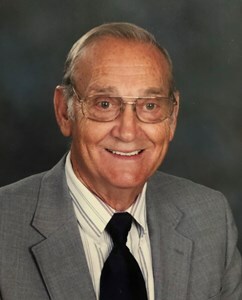 Newcomer Family Obituaries - Edward D. 'Ed' Knight 1937 - 2019 - Newcomer Cremations, Funerals & Receptions. Edward D. "Ed" Knight, age 81 of Dayton, OH passed away peacefully on Saturday, February 9, 2019 at 10 Wilmington Place. He was born May 17, 1937 in Jackson County, Tennessee to Homer and Leona (Jackson) Knight. Ed married Joyce Stephens on March 25, 1960 in Cookeville, TN. Ed retired from the City of Dayton in 1992 after 32 years. He attended Northridge Freewill Baptist Church with his wife Joyce for 42 years. Ed loved his family dearly and will be greatly missed by all. Ed is survived by his wife of 58 years, Joyce; a son and daughter in law, Randy and Mary Knight; three grandchildren, Natalie, James and Katrina Knight, who were the joy of his life; and other family and friends. He was preceded in death by his parents; three sisters, Mable Allen, Lennie Langford and Ora Smallwood; and eight brothers, Claude, Bill, Carl, Carson, James "Cat", Bird, Douglas "Tootie" and Joe Knight. To leave a memory of Ed or a special message for the family, please click on "Share Memories" above. Add your memories to the guest book of Edward Knight. Ed was a real sweet man. I wish I had gotten the chance to know him better. I'm so sorry for your loss. We love you guys and are praying for you all. Ed was a very sweet and precious man. We have been blessed to have known him as our neighbor and friend for over eighteen years now. We will miss him dearly, but we are happy to know he is where he has longed to be for quite sometime now, as He is in the presence of God and is no longer in pain.